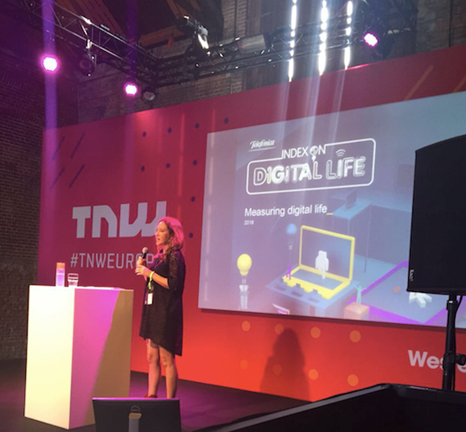 Telefonica’s Helen Parker presented the Index findings and key messages on May 27 at the 11th annual The Next Web Conference in Amsterdam. 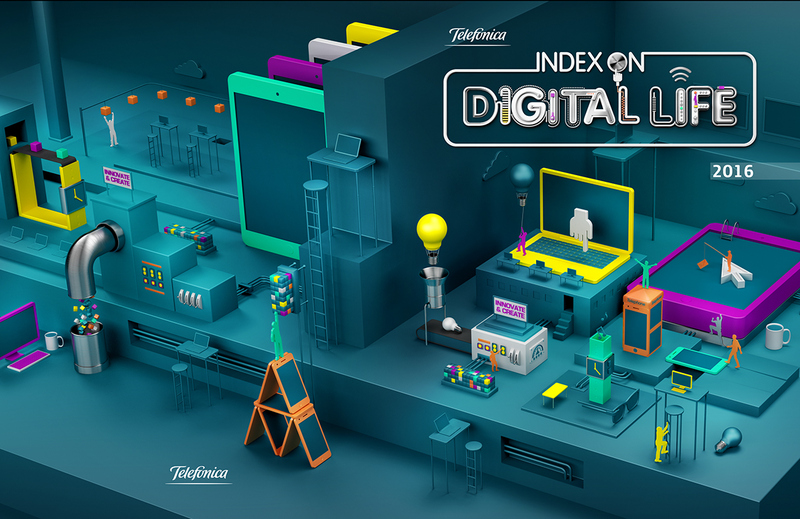 GEDI’s newest Index – The Telefónica Index on Digital Life (TIDL for short) – measures how different countries and their citizens are progressing towards a Digital Economy and Digital Society. Combined, we call this broad and multifaceted phenomenon Digital Life. Digitalisation – i.e. the socioeconomic process of harnessing digital technologies in all domains of social and economic life – affects virtually all aspects of economies and societies, from the way individuals and organisations interact; how they communicate; how they learn; how they work; how they conduct business; how they spend their leisure time. Digitalisation affects business, healthcare, education, culture, government, social care, transportation and the way individuals conduct their lives regardless of where they live. Understanding how countries perform in different domains of Digital Life is therefore timely and important. The Telefónica Index on Digital Life captures the systemic capacity of countries to embrace Digital Life: (1) Digital Openness: how well a country’s digital infrastructure facilitates open access to information; (2) Digital Confidence: how readily and confidently individuals and organisations engage with the country’s digital infrastructure; and (3) Digital Entrepreneurship: how readily citizens and organisations leverage the digital infrastructure for entrepreneurship and innovation. Consistent with this, the Index tracks three systemic capacities in 34 countries: Digital Openness (Internet freedom and openness, digital public services), Digital Confidence (digital adoption, privacy and security), and Digital Entrepreneurship (digital literacy, digital business, innovation, and finance).